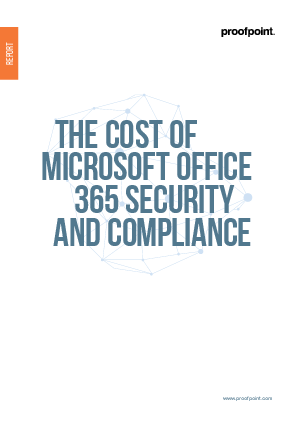 Doing all you can to ensure the security of Office 365 makes a lot of sense. As the volume and sophistication of advanced threats continues to evolve more rapidly than ever before, you must protect your people, data and brand from advanced attacks and compliance risks. Our security solutions provide you with industry-leading security, compliance and email continuity capabilities for your cloud based Office 365 deployment that far exceed Microsoft’s native protection. With Proofpoint, you can take advantage of the freedom, flexibility and cost savings of Office 365—without sacrificing your ability to keep users connected and protected.